Materials: White painted brass. 9 grey/brown smoked crystal glass globes. Metal sockets. 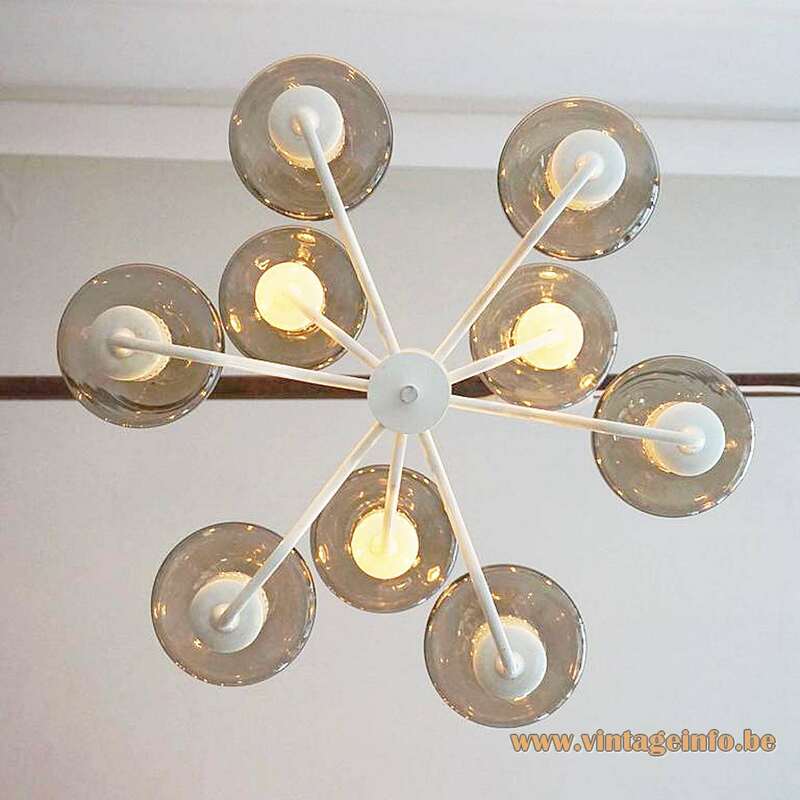 Electricity: 9 bulbs E14, 9 x 40 watt maximum, 110/220 volt. Designer: Hans-Agne Jakobsson (1919 – 2009). Manufacturer: Hans-Agne Jakobsson AB, Markaryd, Sweden. Other versions: Made in countless versions. 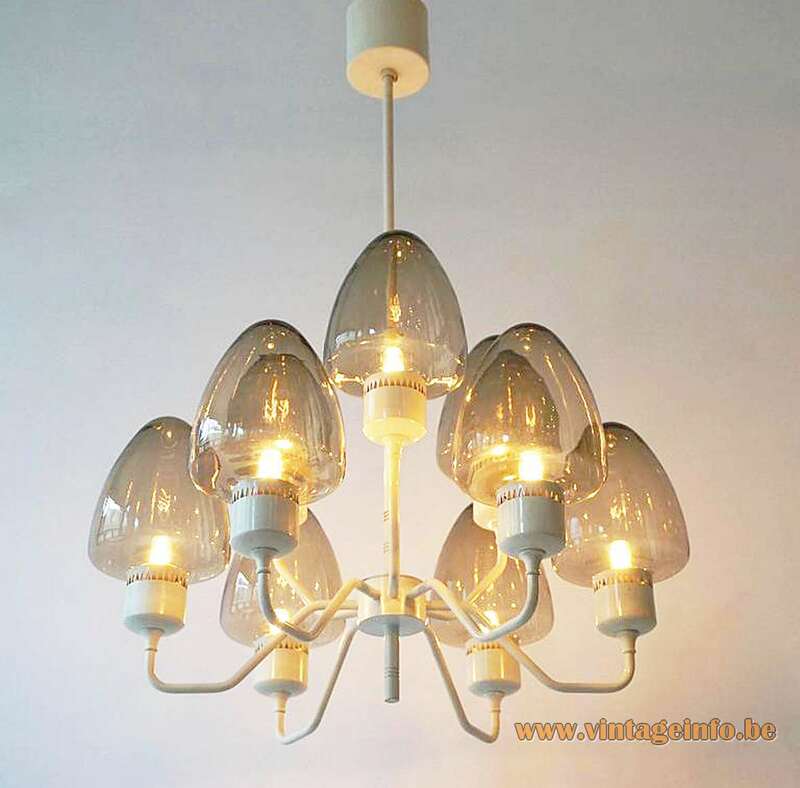 The company produced a large amount of different brass chandeliers, starting from the late 1950s. Some of them have names such as Patricia and Royal. Hans-Agne Jakobsson was a Swedish interior and furniture designer, born in Hvadhem on Gotland, Sweden in 1919. Jakobsson became a cabinetmaker at the age of 18 and later he graduated as an architect in Göteborg. He began as an assistant to Carl Malmsten and Werner West. After his graduation Hans–Agne Jakobsson started as an industrial designer at General Motors. 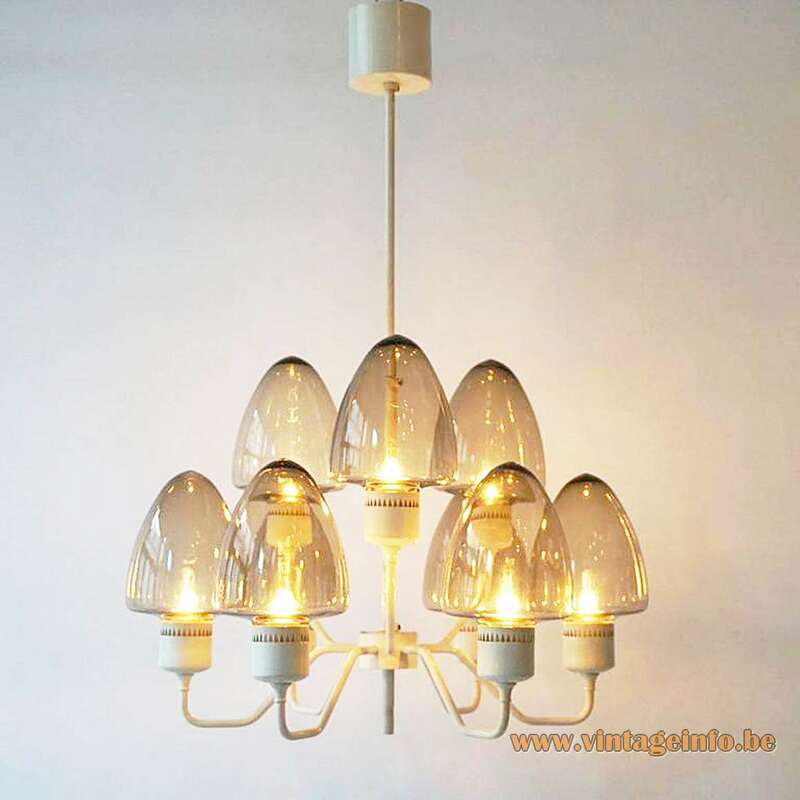 In 1951 he founded his own lighting company Hans-Agne Jakobsson AB in Markaryd. 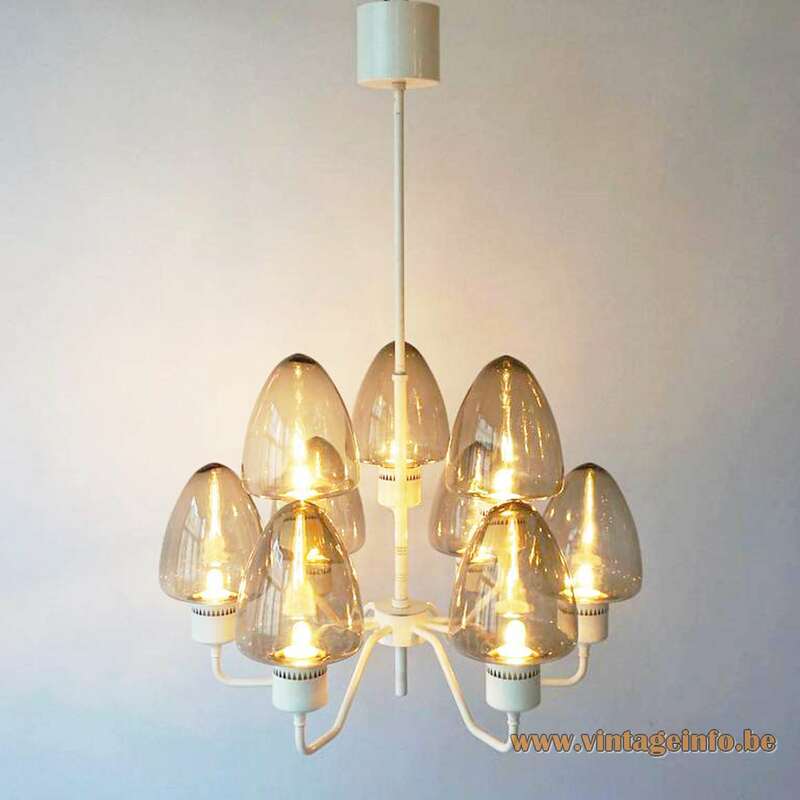 He also designed lamps for his 2 other companies: AB Ellysett, also in Markaryd. 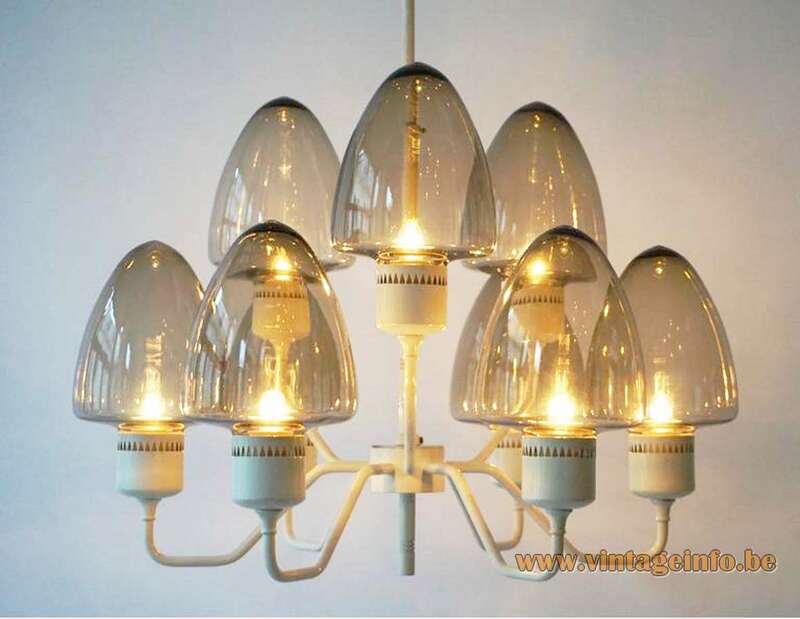 Lamps completely made of pine wood; it was his first step in the lighting business and his biggest success. SCAN-LIGHT was the third company. SCAN-LIGHT was for the lamps that were mostly made of plastic. It was also located in the same town. Hans-Agne Jakobsson also had companies abroad: In The Netherlands it was Svera – Hans-Agne Jakobsson Nederland N.V. It was located at The Hague. Other seats from the company were located in Paris, France, Darmstadt, Germany. Barcelona, Spain, Stäfa, Switzerland, Oslo, Norway and of course Stockholm, Sweden. There was also a showroom in Toronto, Canada. 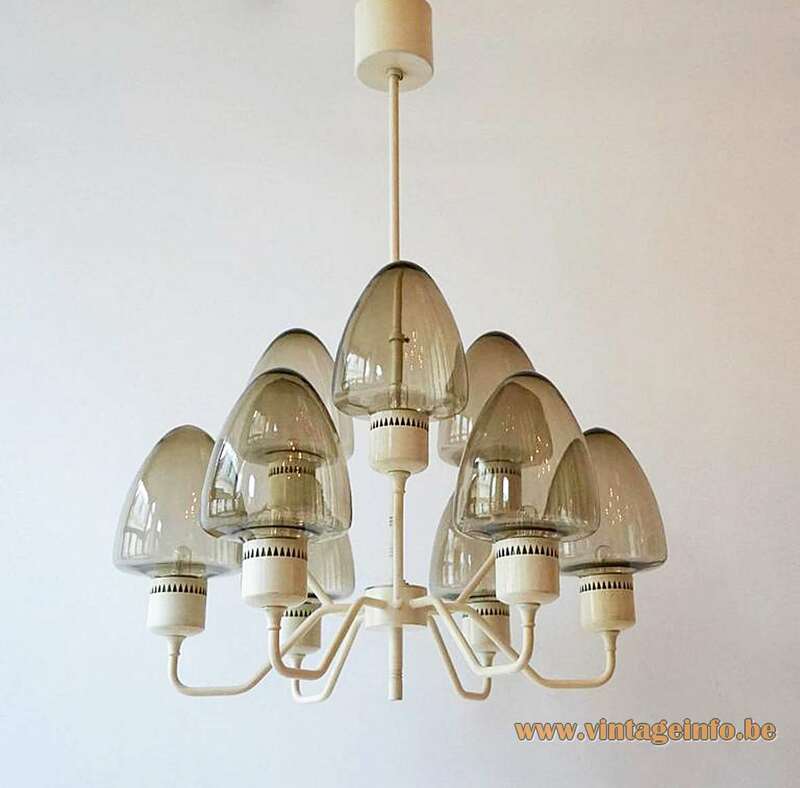 Also Koninklijke Philips N.V. from The Netherlands had some lamps by Jakobsson in their catalogue. Presumably also a few other companies. Hans-Agne Jakobsson died in 2009 at the age of 90. His closest family are his wife Lisa and their children, Karin and Ola. Markaryd is an urban area in Sweden with some 4000 inhabitants (2016).